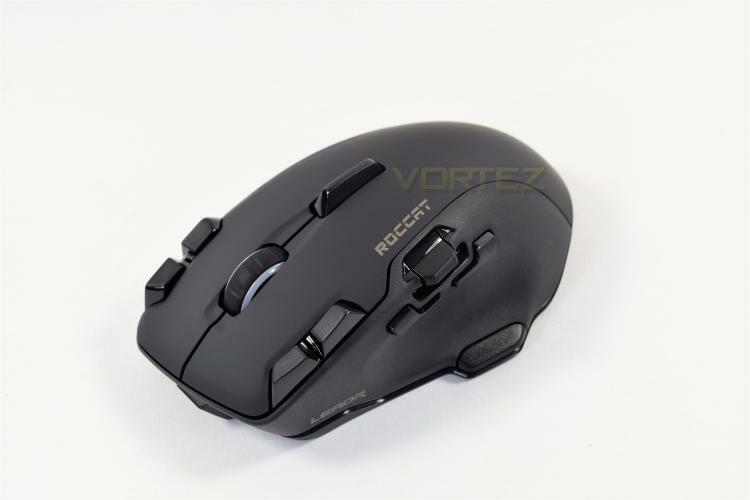 German peripherals manufacturer, Roccat, known for its “outside of the box” approach to concept and design, have provided us with their first attempt at a wireless gaming mouse, the Roccat Leadr. Housing a whole host of features, including their very own Owl-Eye Optical Sensor capable of 12,000DPI, class-leading wireless technology offering zero-lag and virtually zero-latency, a whole suite of buttons and customisable RGB lighting. Roccat claims this mouse to be the “wired mouse with no wires,” and on paper, it certainly seems like it can back that up, so let's move onto the review and see if all of those buttons make a difference. The Leadr gives you the freedom of wireless with the performance of wired. It rocks a combo of pioneering wireless technology and an optimised Owl-Eye optical sensor, meaning gaming with a wireless mouse is no longer a handicap. Zero lag and with virtually zero latency, it features a docking station with a top-up cable for use as a wired mouse, plus an innovative suite of buttons for enhanced control. The Leadr is the wired mouse with no wires, making it wireless royalty.